It's now only 15 days till Valentine's Day, and things are really picking up around Bloomex. We have put together a number of special Valentine's Day value packages, so you can give some gifts to your special someone for less. Here are some hassle-free suggestions on some packages that we are offering for the big day in 2014. With delivery across nation, we truly are Canada's National Florist. 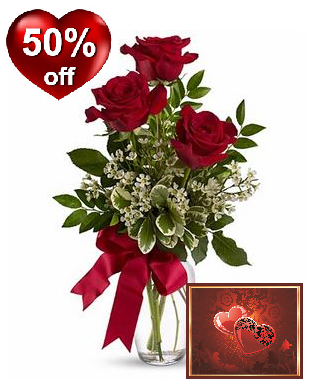 3 beautiful long stem roses and a personalized Valentine's card for an amazing price. 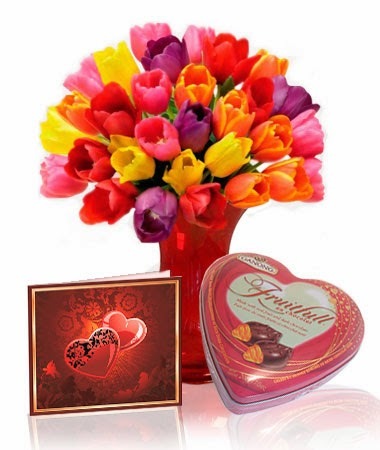 Our tulips are a beautiful, unique way to say "I Love You" on Valentine's Day, and this combination (pictured at the top of the page) includes a personalized card as well as a box of delicious chocolate. 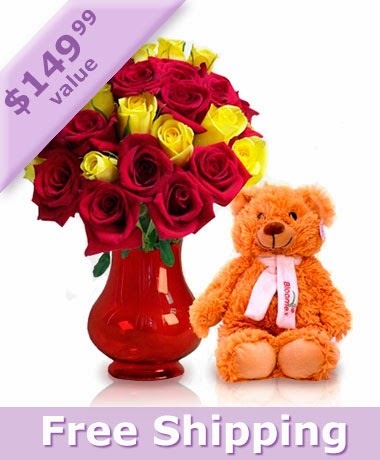 Go all out with this breathtaking combination of 12 long stem red roses, 12 roses of another colour, a teddy bear and a fantastic coloured vase. The best part? Shipping is free as part of this package. Check it out today!